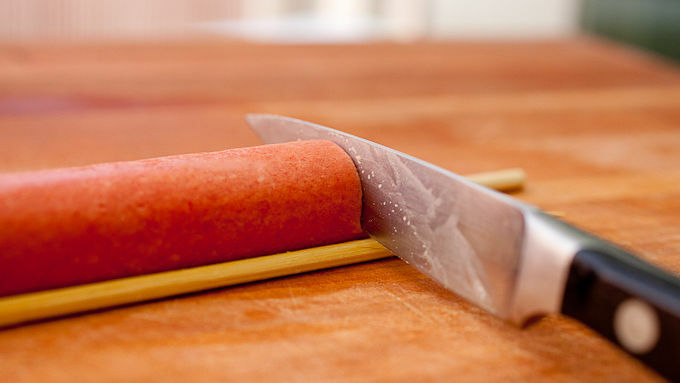 To make Hasselback hot dogs, place a single hot dog between two chopsticks. Use a small paring knife to cut slits down the hot dog every 1/4-inch. The chopsticks will stop you from cutting all the way through the hot dogs. 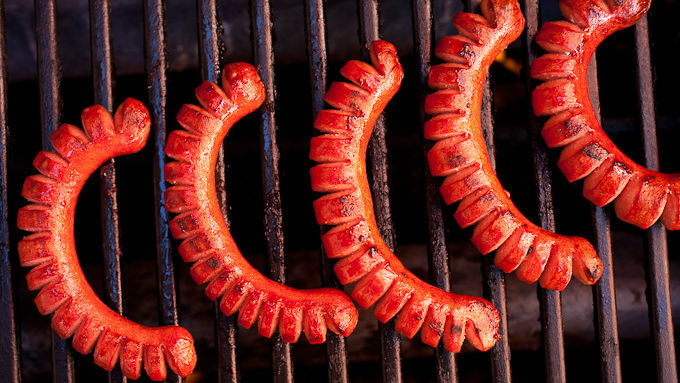 Grill hot dogs normally for 4-5 minutes per side until they are crispy and curled. Toast hot dog buns on grill at the same time as the hot dogs. 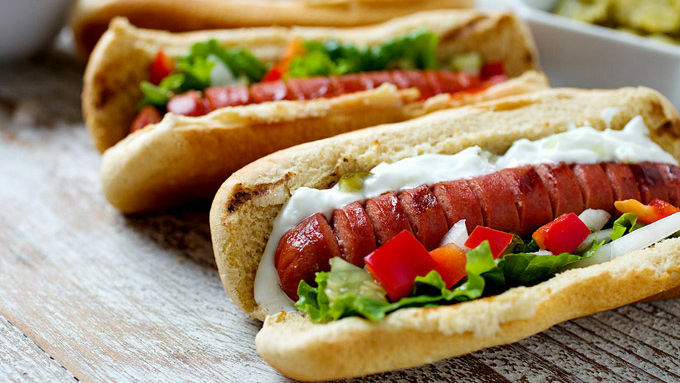 Serve hot dogs with any topping, such as Sriracha Ketchup, Sweet Mustard Sauce or Greek Yogurt Sauce. To make the sauces, just mix ingredients and top on your hot dog. The hot dogs will curl a bit as they grill, but you can flatten them out when you put them in the buns. Finally! It’s grilling time. What better way to spend a lazy weekend afternoon then lighting up the grill and having a few friends over for a lazy BBQ? If you want to up your grilling game a bit this year, check out this fun and easy way to grill your hot dogs: hasselback them! Grilling hasselback hot dogs means more surface area to get crispy and delicious and lots of tiny crevices to hold any type of sauce you choose. Load ‘em up any way that makes you happy. 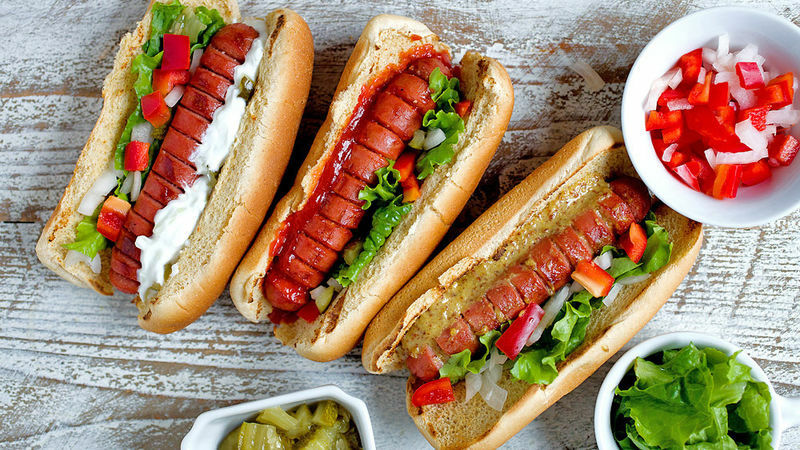 This simple grilling trick will make you a hot dog hero with your guests. Give it a try!